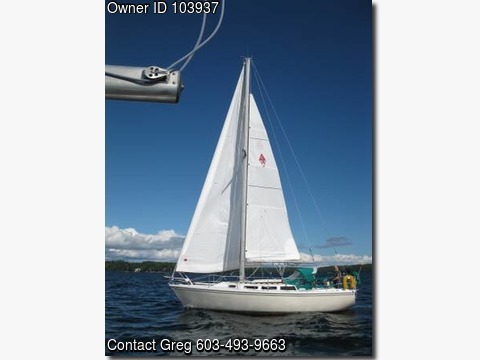 Boat is located in Brunswick,Maine.Please contact the owner @ 603-493-9663...This is a 1984 Catalina 30, Mark 1 standard rig. Hull and Deck are sound. All but two seasons spent in fresh water. Atomic 4 Gas Engine, with a rebuilt head (end of 2017 season) Custom 3 blade prop designed for best output with Atomic 4 engine. All Engine gages work, including Engine Tach Hallet fully battened main and 130% furling genoa cleaned and maintained by Hallet and rated in "good/excellent" condition by Hallet Sails. Sewn-on "Sun Cover" to protect Hallet Jib. Whisker pole Boom Vang Self Tailing jib winches (3 seasons old).